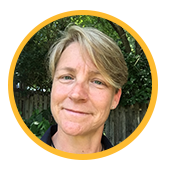 It is my honor to introduce you Dawn Towle, College Recruiting and Diversity Staffing Specialist. When I was 16, I was coaching youth soccer. Every season, the parents would tell me that I would “be a great teacher.” I didn’t really think about it at the time, but as I kept coaching while in college, I found that I really felt an intrinsic reward from helping people and seeing the success they have. 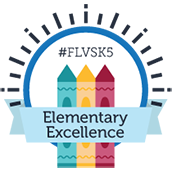 How long have you worked at FLVS and what roles have you held? I started as an adjunct, teaching the Personal Fitness course back in 2001. I was an adjunct for a few months until I was brought on full time. Back in the early days, I taught and served as a mentor for new teachers in the Personal Fitness and HOPE courses here at FLVS. After 12 years on those fantastic teams, I was honored to join the very talented individuals in our Professional Learning Department serving as a Learning Specialist. It was then that I developed a deep passion for promoting the unique teaching strategies and skills required to be an effective online teacher and helping to create opportunities for pre-service teachers to be exposed to them. I can’t say that any one person inspires me. I find that almost everyone I have interaction with, in and outside of work, have qualities within them that shape me. I consider myself to be a patchwork of anyone who’s ever impacted me and use their good and bad qualities to help me hone the individual I strive to be to others. I feel that a strong personal-self drives a quality work-self. 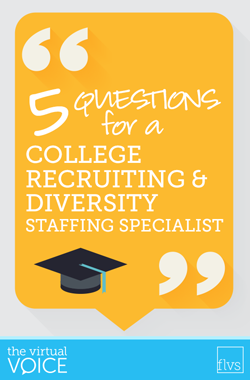 What are the best three things you think you’ve done since you’ve become the College Recruiter and Diversity Staffing with FLVS? I don’t think I can rank them in any order because each one has brought me, and I hope the organization, smiles. I think, first and foremost, it’s working to get higher education to rethink and re-conceptualize how they are educating pre-service teachers. 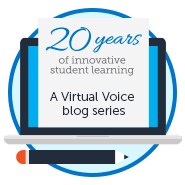 In many college level courses, they talk about online learning as “the future” and the “digital age,” but don’t realize that it is a 19-year old concept. It is now a valid option for graduates entering the teaching profession. Quality distance education can’t be the “future” if we aren’t steering pre-service teachers into hands-on field experiences in a virtual classroom. My fear is that colleges continue to drive pre-service teachers into brick-and-mortar schools. When they do, they remove the opportunity for pre-service teachers to have an informed knowledge of what it’s like to be an online teacher. The result over time would be a distance learning environment full of classrooms without quality teachers to replace those who retire. With that comes my next proud moment, which is to work with all of my stellar Clinical Education Certified teachers here at FLVS and watch them shape and mold their interns into amazing future educators. I feel like a proud mama-bear when I see an intern excel under the guide of their supervising teacher. But it’s even more rewarding when I see the interns graduate with such high recommendations that they are then hired as FLVS teachers. That’s probably my proudest moment in this position. Lastly, I’ve only been in this role a little more than a year and I still feel like I’m growing and learning in all things “Talent Management.” It is an entirely different world from the teaching/education aspect I am most familiar and comfortable with. I’d have to say I think my third “best thing” yet is adapting to a role outside of teaching and to feel more at ease. I eventually found my niche among so many hardworking teammates who work hard behind the scenes to accomplish monumental tasks on a daily basis. How do you like to relax after a long day of supporting FLVS? Why not ask your teacher(s) one of the 5 questions? This entry was posted in Educator Edition, Homeschool Edition, Parent Edition, Student Edition and tagged Benefits of Online Education, Careers, Careers at FLVS, college, College Recruitment, College Students, Curriculum, Diversity, Education, Educator Edition, FLVS Instruction, FLVS Internships, FLVS Staff, HR, Human Resources, Interns, Internships, Jobs at FLVS, Meet FLVS Staff, Meet Your Teacher, New Teachers, Online Curriculum, Online instruction, Professional Development, Staff Interviews, Staffing, Teach Online, Teaching Careers, Teaching Online, Teambuilding, Virtual instruction, Working at FLVS on November 29, 2016 by Dr. Jeanne Giardino.